Today we’ll keep it shorter than normal, because we want you to be able to focus on the infographic and data provided below. We could sum this up like this. 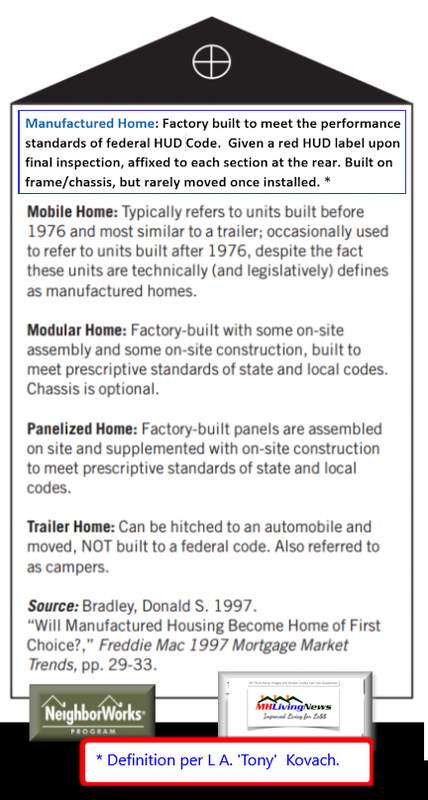 There is a lot of misinformation about modern manufactured homes, starting with terminology. From there, one can move on to issues of quality, durability, appreciation, and more. Notice, pricing on homes can shift day by day, sometimes, down, but generally up. The data shown is deemed reliable as of the time the infographic was first produced. Serious researchers should always double-check current information from reliable sources. 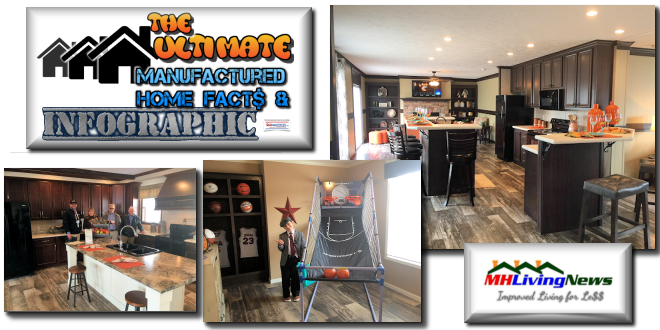 The infographic, video, terminology, and quotes shown should be useful for anyone looking for the truth about modern HUD Code manufactured homes. Related Reports are linked below. Manufactured home is a federally defined term, and is not to be mixed with mobile home, modular home, or trailer house. All of these are prefab or factory built homes, which can be universal terms. Many call both mobile homes and manufactured homes MH, just as many call ‘Recreational Vehicles’ RVs. We’re not saying that manufactured homes are perfect. What we are saying is that it’s a sound option for millions. It’s good enough for numbers of millionaires. Even some billionaires have chosen a manufactured home. Learn more, and pass it on. By the way, once we finished this infographic, we immediately thought of how we’d like do to a version 2.o. We’ll save that for another day, because this one is already the Ultimate summary. Submitted by Soheyla Kovach to MHLivingNews.com. Soheyla is a co-founder and managing member of LifeStyle Factory Homes, LLC, parent company to MHLivingNews and MHProNews.com. Live Better When You Live for Less. Communities. Developments. Single Family Home Sites. A wide range of Residential, Single and Multi-Family Styles possible. Your Home. Your Location. Your Lifestyle. Stronger, Smarter, Safer, Stylish, Savings. Made in the U.S.A.